California law gives residential borrowers various rights and remedies when it comes to foreclosure prevention alternatives against a mortgage servicer, mortgagee, trustee or beneficiary under a deed of trust, and authorized agent. But what happens after the borrower’s death? 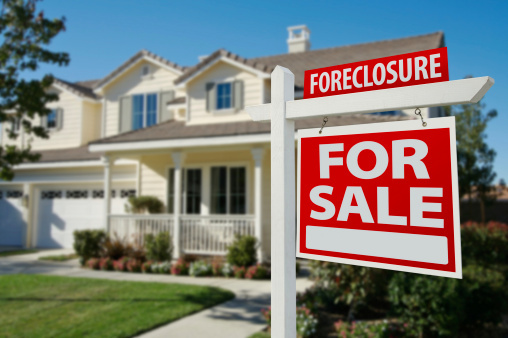 In further fallout from the financial crisis, recent legislation extends foreclosure protection to a deceased borrower’s successor in interest even if that person isn’t a party to the loan or promissory note. Stats 2016, ch 838 (SB 1150-Leno). The measure prohibits a mortgage servicer from recording a notice of default until the claimant has been given a reasonable period of time to present specified documentation and the mortgage servicer has provided a successful claimant with specified information about the loan. The mortgage servicer must permit the successor in interest to attempt to assume the deceased borrower’s loan or to apply for foreclosure prevention alternatives on an assumable loan. This doesn’t work for everyone. The mortgage servicer may evaluate the creditworthiness of the successor in interest, “subject to applicable investor requirements and guidelines.” CC §2920.7(d). To qualify, a successor in interest must be a spouse, domestic partner, joint tenant, parent, grandparent, adult child, adult grandchild, or adult sibling of the deceased borrower “who occupied the property as his or her principal residence within the last six continuous months prior to the deceased borrower’s death and who currently resides in the property.” CC §2920.7(i). Nevertheless, creditworthy borrowers may be able to retain favorable loan terms. At least, qualified successors in interest may have a little more time to consider their options. Note that holding title to the property in the deceased borrower’s revocable trust doesn’t appear to affect the eligibility of a qualified successor in interest. The legislation remains in effect until January 1, 2020. For the complete lowdown on the new law, check out CEB’s California Mortgages, Deeds of Trust, and Foreclosure Litigation §2.49D. 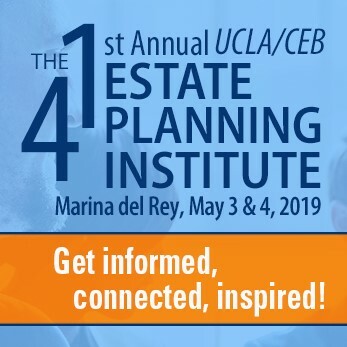 On secured creditors in estate administration, turn to CEB’s California Decedent Estate Practice §§14.34, 14.68.